Marita was a gymnast from a young age and realised early on that she’s happiest upside-down. When she found yoga it was love at first Downward Dog, and nearly 20 years after that first class she still finds joy within each practice. 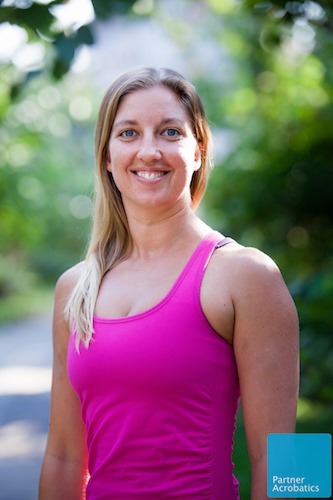 She began teaching yoga in 2002 after apprenticing with her first teacher, and teaches alignment-based vinyasa, acroyoga, yin, and restorative yoga. She has completed around 2000 hours of training, and has led yoga workshops, retreats and teacher training courses. In 2017 Marita dived head first into the world of acroyoga and partner acrobatics. She loves the connection, trust and sense of play developed within this practice. She completed teacher training with Partner Acrobatics in January 2018 along with her partner Daniel. Together they’ve taught acro workshops internationally as well as at home in Australia.